This page is dedicated to the awesome fans who created art, music, or other cool stuff based on The Wandering Inn’s story! Note that spoilers may be present here. The two banners you see while browsing the site were designed by Raoul, a graphic design artist. See more of his works at corellastudios.com! This series of portraits and picture of Ryoka and Erin was done by the amazing Evionth! Check out more of their art here! Here’s a picture of Ryoka and Erin by the amazing Evionth! Check it out here! Spoilers ahead! 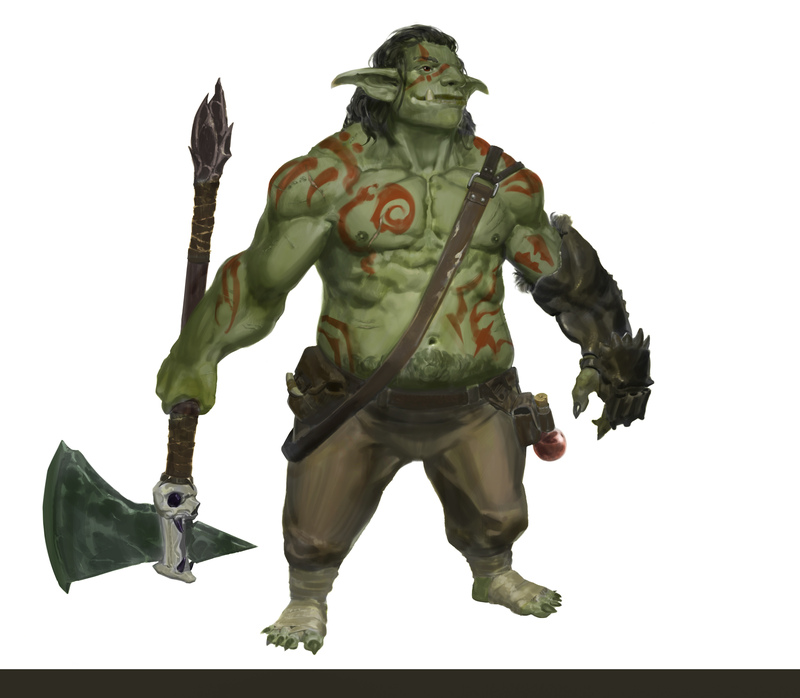 These are some amazing character sheets drawn by Enuryn the [Naturalist]! They are fantastically cool and you should check out Enuryn’s Tumblr here! He’s done three of the Antinium, and I have nothing but gratitude for each one! Minor spoilers. Here’s a cute interpretation of Mrsha the Gnoll! It’s drawn by SilverFighter, another [Artist] who reads The Wandering Inn! Spoilers, oh the spoilers! 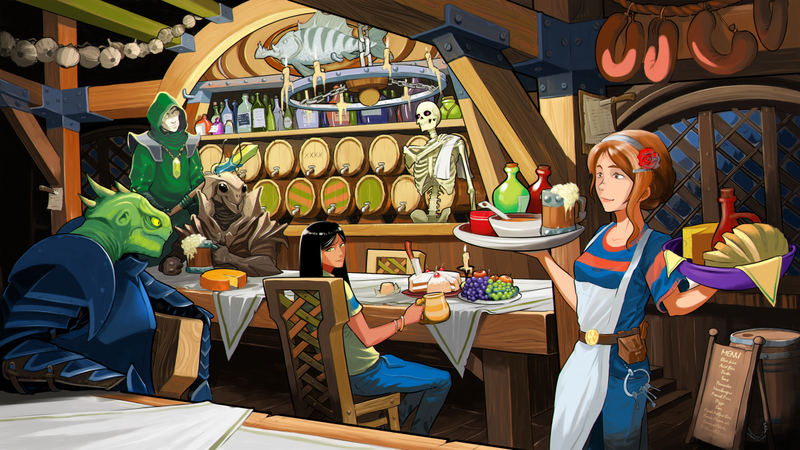 This is the incredibly cool image of The Wandering Inn drawn by the [Possessed Painter] Pino44io, also known as Victor Koroedov! He worked on it for over a week–check out his Deviantart page here! It was commissioned by a [Patron of the Arts] who goes by the name of deathsand12, much thanks to him for adding to the art of The Wandering Inn! Spoilers! There’s so many! 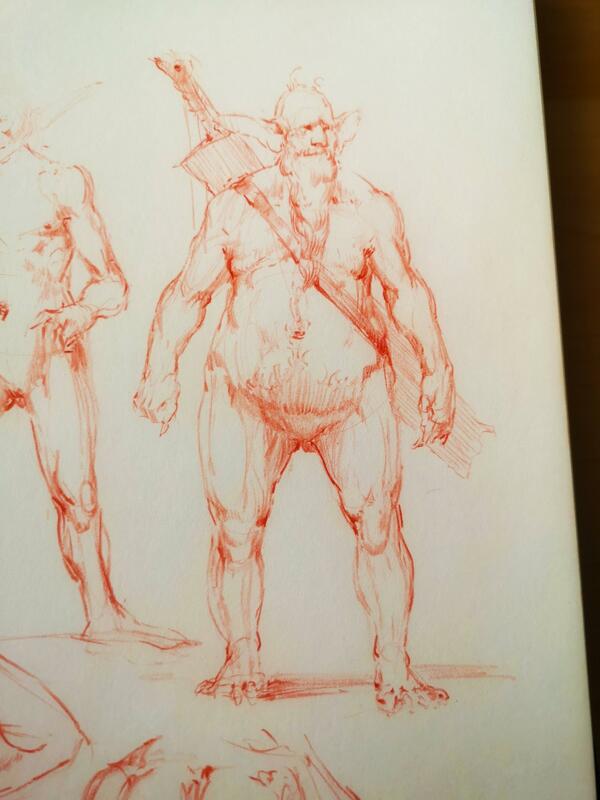 Here’s more artwork by Miguel, who’s shared some sketches of his take of The Wandering Inn’s characters! Check out his site here! Spoilers! This is a series of sketches made by Black Noise! They depict our favorite fey–the Frost Faeries! Or just Ivolethe. Honestly, it would be hard to tell. Either way, they’re somewhat cute, somewhat scary creatures and I think Black Noise captures that well! Big thanks to him, especially since he sent me the sketches long before this section even existed and I forgot to add them. Volume 5 Spoilers! This portrait of Lady Welca Vis of the Knights of the Petal was commissioned by none other than Yarrick, an [Art Connoisseur] and a reader of the story! Credit to Zamberz for making this incredible piece! Not spoilers at last! 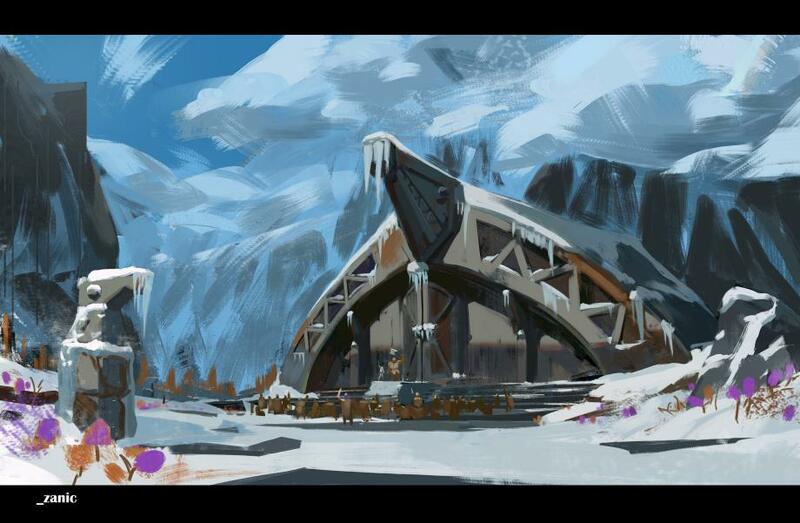 This is a work by HiuGregg of The Fantasy Inn! He’s a reviewer of stories, but also made this cool animated image of The Wandering Inn’s cover! No spoilers here! Well, probably… These are a collection by Jason Yao! 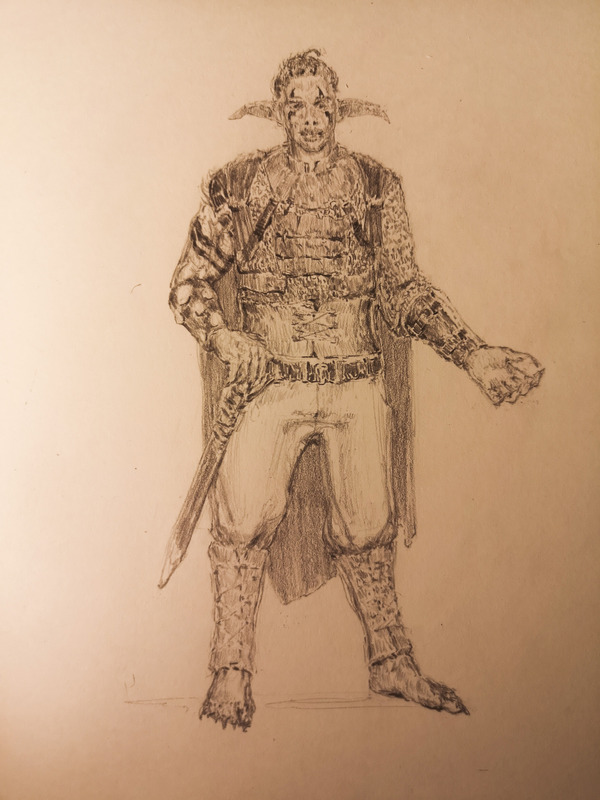 He has an Instagram filled with amazing art and he’s represented the Antinium, two of our favorite Goblins, and a drawing of Liscor’s crypts! 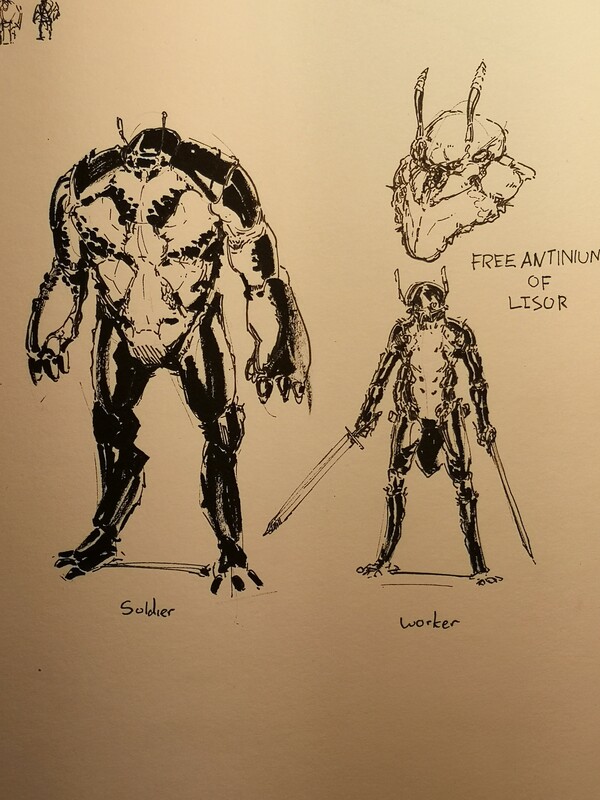 He admits that he forgot to add two arms in the case of the Antinium Soldiers, but I don’t think it matters. Just imagine a Soldier charging at you down a dark tunnel. Great work, and extremely detailed! Sort-of-spoilers? This is a wonderful series of portraits drawn by the [Face Artist] known as Carol M! The full gallery is here. I truly enjoy all of their faces, especially Ryoka’s peeved look. Very true to her character! Spoilers! Read no further if you don’t want spoilers! Aristide Twain, a [Sketcher] with a great cartoon-art style made bunch of sketches of people from the story! Check out their Deviantart page here! I particularly like Mrsha in the character sketch, on the bottom left. Massive Volume 5 Spoilers! I have a series of pictures, again from our [Art Connoisseur], Yarrick! He’s commissioned an amazing landscape of Liscor, how it normally looks and Liscor during the rainy season. The artist is Cristian T. Art and I hope you check out their Instagram for more great art! Cute spoilers! These are some lovely images of Mrsha, Apista, Bird, and Pirate that can be used as emojis! I like them as pictures, too. Scott Cross, a very cool reader made them! No spoilers! Here’s a picture of Erin by CatloverK, an artist who captures Erin with a plate of pasta in hand! And honestly, isn’t that what we all aspire to be? Holding pasta? And eating it? She’s also done a host of other great characters, from Ceria to Magnolia to Ryoka! Obvious Spoilers! A talented [Mouse Artist] by the name of DemonicCriminal sent me a series of sketches and an inked drawing of some of our favorite characters from The Wandering Inn! Antinium, Ryoka, Halrac…it’s all amazing! Check out their deviantArt page and give them a like! I personally enjoy the distinction they’ve made between Workers, Soldiers, and Klbkch. Goblin spoilers! Do you like Goblins? 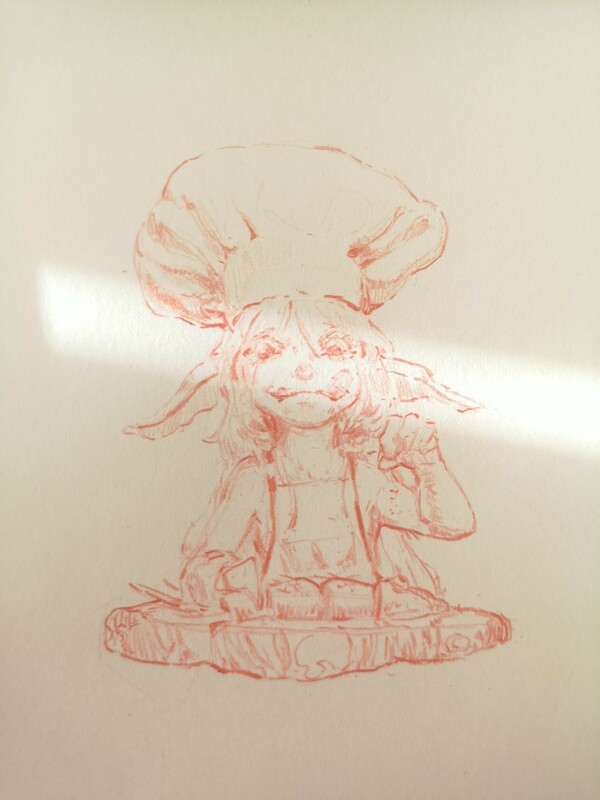 One of our local [Goblin Artists], who may or may not be a Goblin, drew a series of heartwarming and heartbreaking pictures! Also, his vision of the Antinium, which resembles a certain video game…I’d play it! But then I’d get depressed. Great work, and check out his Imgur album here! Iconic spoilers! Cyan of ccyanarts.tumblr.com has kindly drawn a series of amazingly cute images, including Rags and Erin playing chess! It’s a wonderful scene, and I encourage you to check out more of her works! Scary spoilers. Here’s a horrific…ly great drawing of a Creler by Typist Kid! It’s most definitely a baby if anyone’s asking. The older ones aren’t as uh–well, aren’t. But this Creler certainly captures the imagination. And if you get too close to it, it’ll capture you as well. Great, and horrible stuff! Nostalgic spoilers. 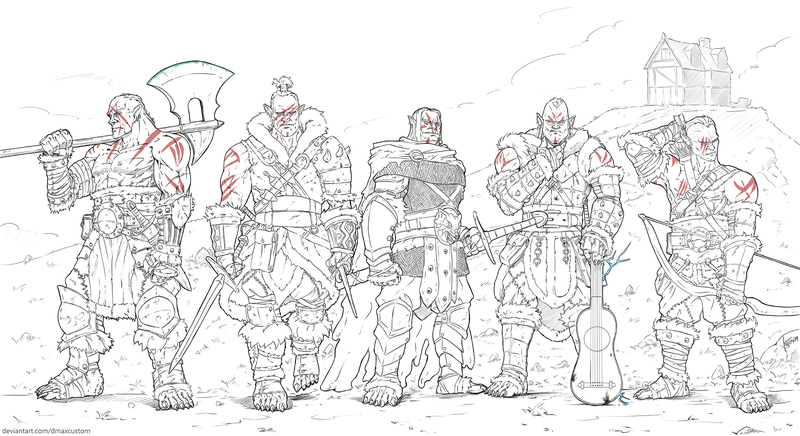 Here’s an incredible commission by Joseph G, drawn by Daniel Gonzalez of all five Redfang warriors. I appreciate that you can tell each one apart with just a glance. Just amazing work and a big thanks to Joseph, an [Art commissioner] of fine taste! A Level 19 [Cartographer] took the raw sketch I did of one of the main continents, Izril and turned it into a cool thing! You can see the full version here. Glitchy has composed a really fun set of theme songs! I personally like Ryoka’s Theme the most, but I like all of them so I’m not really that impartial. Spoilers ahead! Not too many, but Simon has written a poem about a certain [King]! Read and be spoiled at your own risk! Volume 5 Spoilers ahead! One of our [Poets], Paul McGrath, has come up with a few verses to celebrate the indomitable spirit of Liscor’s people and their scorn for the Walled City of Pallass after the famed battle agaisnt the Face-Eater Moths. If you haven’t read it yet, be warned! when monsters rose up and blood flooded the wall. making comments and laughing as we fought, as we died. did nothing but watch, our deaths a parade. to fight for the lives of those not their own. if monsters came calling, Liscor stands as one. we’ll stand side by side to spit in death’s face.